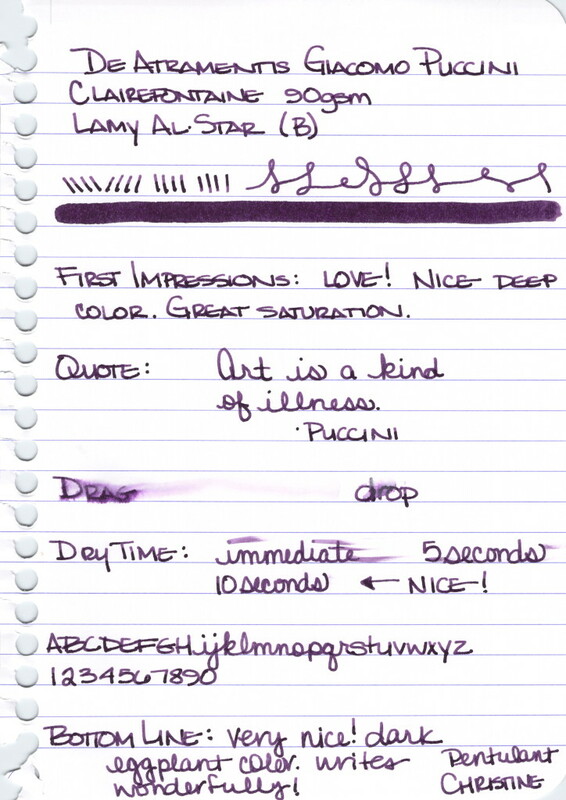 This entry was posted in INKS, LOVE and tagged de atramentis, ink review, purple by Christine (Pentulant). Bookmark the permalink. 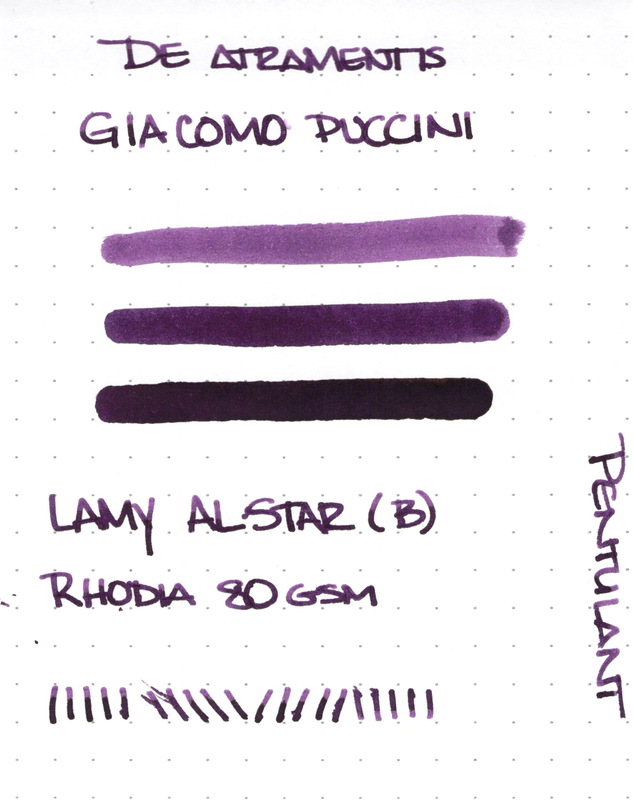 I have a sample from Goulet and love this ink. Did not know it was discontinued. Does yours have flakes of gold in it? 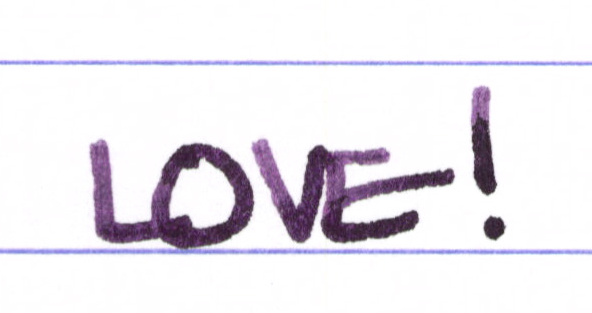 Mine does. Very nice ink. I am just now seeing your response for some reason. So sorry for the lateness. Mine does not have gold flakes in it (or I need to look more closely). By the time I saw that it had been discontinued, Goulet Pens only had sample left – I bought a few of those. Ha.